If you should conduct a survey in the general society today, you will discover that most of the common ailments like diabetes, obesity, cancers and cardiovascular disorders can be linked to animal flesh and processed food products. No wonder that such diseases are quite rare among people that are vegetarians. Vegetarians are basically, sets of people that does not consume animal flesh and also in most cases, animals products such as eggs and dairy products. Many people are scared of becoming a vegetarian because they believe it will eventually lead to malnourishment. However the National Library of medicine stated that people who adopt a vegetarian diet can get all the nutrients that they need provided they are careful in selecting a wide variety of the available food options. There are lots of vegetarians in the world today, for example it is interesting to note that up to 20 to 42% of the total Indian's population are vegetarians today. If you are still contemplating or having a second thought of going vegetarian, now let us see some reasons why you should take a positive decision. Choosing to become a vegetarian also have so many positive effect on your health, here are top 7 benefits of being a vegetarian. A current study by a team in the United Kingdom researchers discovered that vegetarians were much less likely to develop different types of cancers when compared to non-vegetarians. On an estimate, 70% of all diseases including 33% of all cancers are somehow related to diet. Vegetarian diets are rich in powerful antioxidants that helps in flushing off harmful free radicals from the body system. This probably explains why vegetarians confer some form of protection against cancers of the breast, stomach, prostate, lungs and oesophagus. Generally, cardiovascular diseases such as stroke, heart attack and hypertension remain the lead cause of morbidity and mortality worldwide, killing an estimated 1 million of Americans annually. To be on a safe side, a low-fat vegetarian diet has been shown to be the most effective method to stop the progression or coronary artery diseases (heart attack) or even prevent it in its entirety. A study have discovered that overweight people who followed a vegetarian diet for 1 year lost up to 24 pounds within that year. Similarly, according to Cancer Research, UK, vegans and vegetarians put on less weight as they grow older compared to non-vegetarians. Therefore, if you desire to burn down some fat and cut down that extra weight, then you should consider switching to vegetarian diets at the expense of meats and junk foods. Scientists have discovered that vegetarians diet tends to lower the levels Low density lipoprotein (LDL) (Bad cholesterol) in the blood. According to a study published in the Journal of the American Association, vegetarian diets reduced levels of bad cholesterol by approximately 29% which was comparable to a 30% reduction achieved with lovastatin. The diet included a combination of soy proteins, nuts, oats, barley and plant sterols. LDL cholesterol has been linked to numerous diseases such as stroke and heart attack. Many of the vegetarian diets are rich in nutrients which can ease the symptoms of menopause, hence, these benefits women in the perimenopausal and menopausal phases of their reproductive life. For instance, soy which is a vegetarian diet has been shown to be the most abundant natural source of phytoestrogens (plant-based compounds which mimic the behaviour estrogen, the hormone that is lacking during menopause). 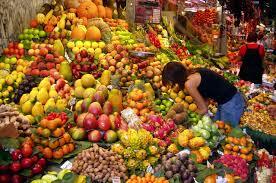 Other vegetarian foods that are rich in phytoestrogens include cherries, apples, raspberries, yam and garlic. They also assist to ease the passage of the woman through menopause. According to the George Washington University School of Medicine, vegetarian diets can reduce the likelihood of developing diabetes by one half as well as enhance the management of already diabetic patients. This is understandable since vegetarian are much less likely to be obese, which is a major risk factor for type 2 diabetes. Kidney stones (nephrolithiasis) is a condition which is characterised by formation of stones inside the kidneys. Other parts of the urinary tract including the ureters, bladder and urethra may also be involved, sometimes leading to excruciating pain and bloody urine. Researchers has shown that stones are more likely to form in the setting of a low urinary pH. Luckily, consuming more fruits and vegetables instead of animal protein tends to raise the pH level of the urine and reduces the chances of kidney stone formation. These are 7 benefits you will enjoy when you decide to go for vegetarian diets.